Sharp Devices Europe (SDE) is a European subsidiary of the international Sharp Corporation of Japan. SDE maintains its renowned design centre in Oxford, UK. This is where three students completing their Year in Industry were given the opportunity by SDE to gain hands-on experience participating in exciting design and engineering projects over the last year. By taking on the Year in Industry students, Sharp was able to meet the criterion for membership in The 5% Club. The students currently at SDE will be leaving in the summer. However, replacements for all three have already been recruited. SDE is looking forward to welcoming the new students soon. They will be supported by the outgoing students, who will share their knowledge and hand over their duties to the new recruits. So far, the efforts that qualified Sharp for The 5% Club have been a complete success. “It is amazing to see how quickly these young professionals take on responsibility and show commitment. You can watch them growing fast, which really makes everyone proud here at SDE”, said SDE HR specialist Kasumi Büttner. Despite the fact that most of the students did not have much experience in the working world, they were entrusted with tasks on important development projects during their time at SDE. That was well-received, since all of them were attracted to the program by the types of projects and technologies SDE works with. Over the last year, they have built demo devices, collected data from an analogue camera, and developed more efficient finite element method techniques, to name a few of their assignments. The takeaways for participating students Isabel Parsons, Sean Tann, and Colin-Benedikt Hay included a number of valuable insights. They are now in a better position to decide what path to take in the future. For Isabel, the desire to continue pursuing a career in engineering has been confirmed. She can now make a more informed decision on which engineering specialization to concentrate on in her studies. Sean has gained a much deeper understanding of how businesses operate and developed a 48V driver for use in LEDs. All of the students remarked that the real-world work experience benefitted them greatly. “The sense that you have contributed to the development of a large project is very gratifying. Otherwise putting forward ideas and discussing development of the product with the design engineers was what I enjoyed the most because it is in vein with what I want to do in future”, explained Sharp Year in Industry student Colin-Benedikt Hay. To be a member of The 5% Club, companies must work toward having 5% of their UK work force in apprenticeships and/or graduate development schemes. Sharp Devices Europe is proud to support the next generation of innovators and engineers in the UK and looks forward to its ongoing participation in The 5% Club. 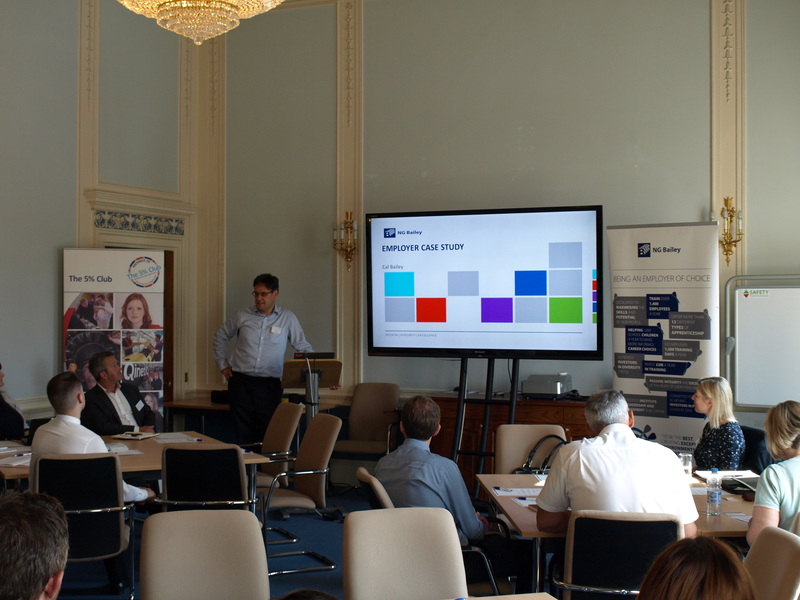 The 5% Club’s autumn meeting, was hosted by member company NG Bailey at their headquarters in Denton, Yorkshire and saw representatives from the campaign gather together to discuss what their companies are doing to provide great earn and learn opportunities for young people. The 5% Club, is an employer led campaign focussed on driving momentum into the recruitment of apprentices and graduates. By joining the campaign, members commit to ensuring 5% of their workforce consists of apprentice, graduates on formal programmes and sponsored students. The pledge also asks members to publicly report their progress in their Annual Report. Members were also given a briefing by Mike Long from the National Apprentice Service to explain the latest news on the apprenticeship levy and the funding reforms. Attendees then had lively discussion about how to ensure that employers get the best out of the levy. To find out more information about The 5% Club, and how to become a member, please get in touch by emailing contactus@5percentclub.org.uk. Over 30 big industry names gathered at MOD Worthy Down on Thursday, 16 June as the Ministry of Defence announced the appointment of its 150,000th apprentice: Lance Corporal Brown. The Rt Hon Earl Howe, Minister of State for the Ministry of Defence, presented nineteen-year-old Intelligence Corps apprentice L/Cpl Brown with a certificate to acknowledge the milestone. 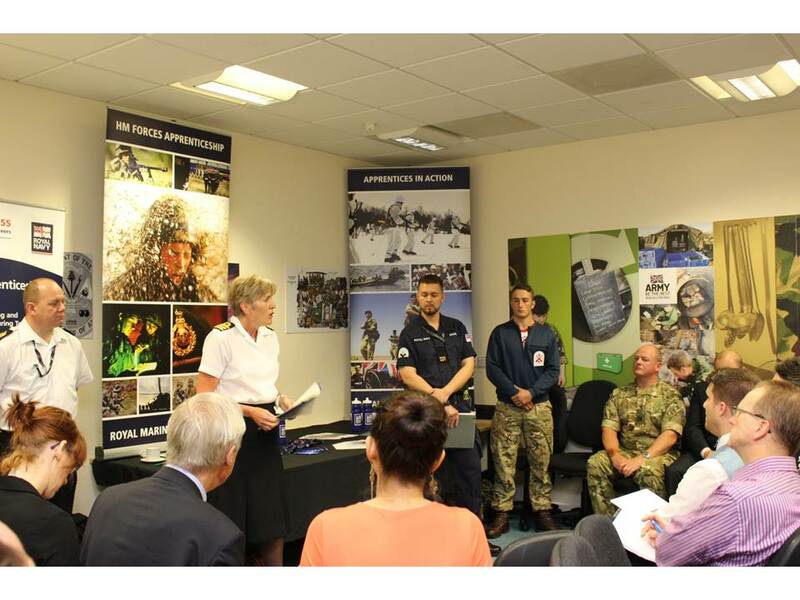 Guests at the event – representatives from organisations that make up The 5% Club – took a tour of the facility, meeting apprentices and their trainers from across the MOD’s four services: Royal Air Force, Army, Royal Navy and Civil Service. 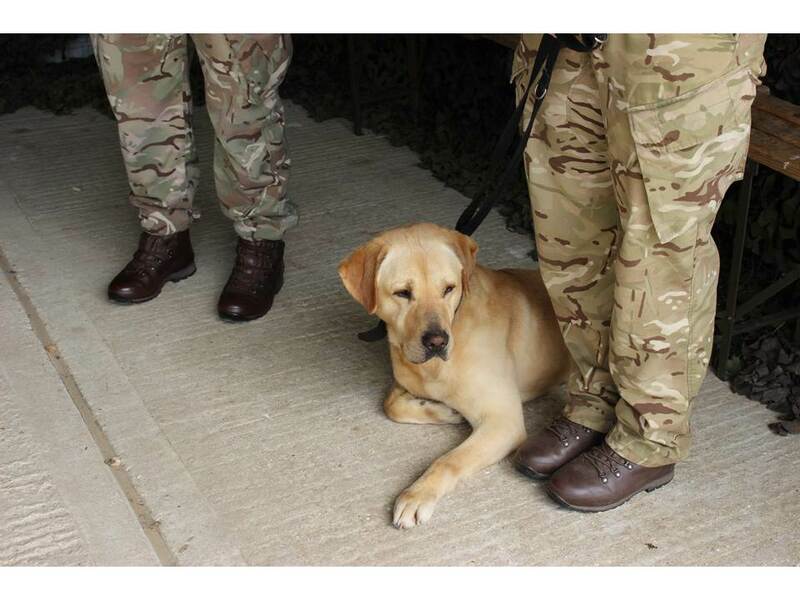 The visitors met dog handling, policing, and intelligence apprentices from the Army; Dstl apprentices from the Civil Service; engineering and physical training apprentices from the Royal Navy; and both veteran and new apprentices from the Royal Air Force. 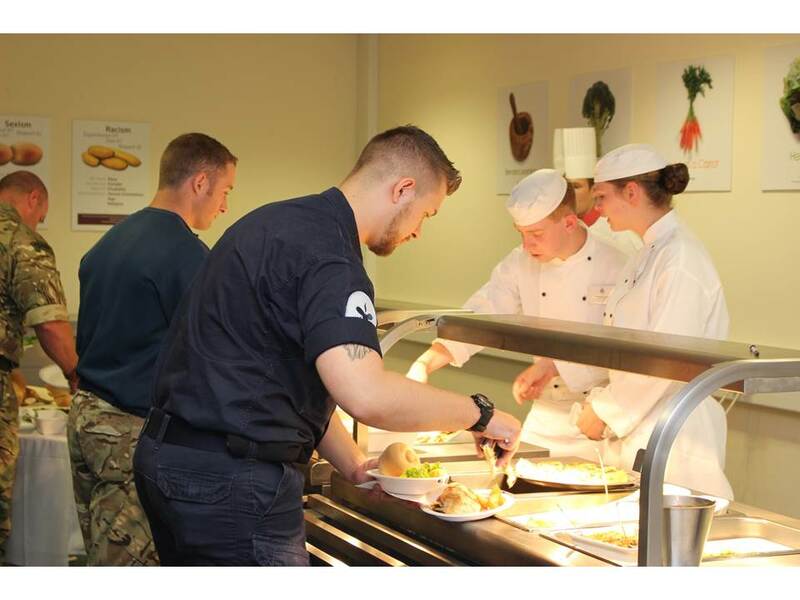 Lunch was served by Food Service Wing apprentices working in the ‘Realistic Working Environment’ restaurant, where they presented and explained their meal to the guests. “I continue to believe that the training available here at Worthy Down and elsewhere within the Ministry of Defence is second to none, and that such training and apprenticeships make a definite contribution to the world-leading standard of our Armed Forces. 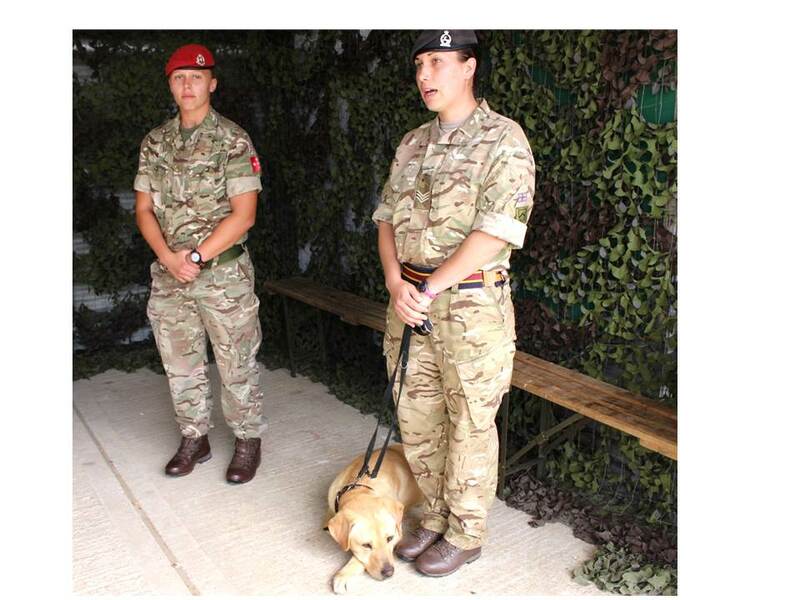 I was impressed by the professionalism of those that I met, and the training that they receive is of clear benefit to both such individuals and the Services, as well as assisting in any future transition to civilian life”. “This event was an excellent showcase from the UK’s largest apprenticeship provider. The MOD has a long history of investment in training, but a more recent shift toward apprenticeships means learners are equipped with transferable skills that will serve them for life. We are very grateful to the MOD for hosting this event – The opportunity for The 5% Club members to see how the MOD run their programmes and to share best practice is part of the ethos of the campaign”. L/Cpl Brown worked as a chef before joining the Army in 2014. After progressing through Army Foundation College Harrogate and Army Training Centre Pirbright, he finished Intelligence Corps Operator Military Intelligence Class 3 (OPMI3) training in April 2016, learning core analytical and operational intelligence skills. Since joining the army, he has completed courses in Maths, English, ICT, and the Open Source Intelligence Research and Internet Security (OSIRIS) course. The 5% Club, spearheaded by QinetiQ, is an industry-led initiative to tackle youth unemployment with over 170 members. Each member is committed to ensuring at least 5% of employees are apprentices, graduates or sponsored students. The MOD joined The 5% Club in March 2015. To find out more information about The 5% Club and how to become a member, please visit www.5percentclub.org.uk or get in touch by emailing contactus@5percentclub.org.uk. Information about the campaign can also be found on Twitter, Facebook and LinkedIn. The 5% Club is a campaign to get the UK’s public and private companies to commit to raising the number of apprentices, sponsored students and graduates on formal programmes to 5% of their total workforce within the next five years. The aim of the campaign is to tackle both the chronic skills shortage and youth unemployment in Britain and help the country remain at the forefront of innovation. It also asks members to publicly report their progress in their Annual Report. The 5% Club was founded by a senior group of business leaders to tackle the twin social issues of youth unemployment and skills shortages. It is now looking for a dedicated and energetic individual to help drive this agenda forward, interacting with people at the highest level of business and government. The successful candidate will be instrumental in ensuring the Club both educates young people on the advantages of entering the world of work through “earn to learn” positions and businesses on taking the lead in providing these opportunities. The organisation is focused on creating measurable momentum behind the recruitment and up-skilling of young people into the workforce. Its members consist of public and private sector employers in the UK who want to make a difference and support the UK’s ability to compete in increasingly tough global markets – and who do so by committing to having 5% of their workforce in formal training programmes as apprentices, graduate trainees or sponsored students. Founded in October 2013, it is at an exciting point in its evolution. Started on a semi-informal basis by a handful of companies to promote skills training and combat youth unemployment, it now has over 170 members across the spectrum of size and sectors. To help it meet these goals, The 5% Club is now seeking a Head of Development and Campaigns reporting to the Director General to oversee the administration, communication and fundraising aspects of its future strategy. We are looking for a motivated all-rounder with solid experience and judgment, who will act as the first point of contact for The Club, managing relationships with our business members and working closely with the Board and Trustees. The right candidate will have first-class interpersonal and communication skills and experience of developing and delivering high quality and relevant stakeholder engagement campaigns. Experience could be in any sector, but the right candidate will need to be able to demonstrate transferability of this knowledge to The 5% Club. In addition, they should exhibit a commitment to, and understanding of, the importance of skills for British business globally and for youth unemployment. A Kings Norton based engineering group is doubling the number of apprenticeships it offers as part of plans to create 500 new jobs by 2020.
adi Group has joined the 5% Club, which is designed to encourage UK businesses to employ the equivalent of five per cent of their workforce through apprenticeships. With 10 apprentices already employed across the UK and Ireland, adi has already made headway in achieving its target after recruiting two new apprentices at the start of the year. Now, it is recruiting for a further six positions nationwide – four of which are in Birmingham – with a view to add two more in the second half of 2016. Supported by the Department of Business, Innovation and Skills, the 5% Club is part of the government’s goal to create three million more apprenticeships by 2020. Employing over 450 staff, the company hopes to achieve its five per cent target by the end of next year. Alan Lusty, chief executive officer at adi Group, said: “We operate in a sector that has suffered from a serious skills shortage in recent years. “But with plans to expand our business by creating 500 new jobs in the next five years, it is imperative that we inspire a sea change in how we plan and deliver training to the next generation of engineers. “Apprenticeships are a vital way to tackle the skills shortage, but they are in need of a serious image overhaul. In our field, hands-on apprenticeships are the building blocks of a highly rewarding career that can take individuals all the way to the top, and yet young people and their parents remain largely unaware of the benefits such a route into work can bring. PPSPower, a back-up power maintenance provider, has showcased its commitment to the next generation by joining The 5% Club. PPSPower has made a commitment to raise the number of engineer apprentices to over 5% of its total workforce. The company comes into the club already with 5% of the engineer workforce being on an apprenticeship course. Apprentice Engineers at PPSPower can work in either a Mechanical Engineering capacity or be trained as an Electrical Engineer. Lewis Thompson joined PPSPower’s UPS (Uninterruptible Power Supplies) division as an Apprentice Electrical Engineer in April 2015. Lewis feels his training has given him a good platform to follow a career path in the electrical engineering industry and hopes to develop into a key member of the PPSPower UPS team. To find out more information about The 5% Club and how to become a member, please visit www.5percentclub.org.uk or get in touch by emailing contactus@5percentclub.org.uk. Information about the campaign can also be found on Twitter, and LinkedIn. Chris Eckert, electrical engineer apprentice at Packaging Automation Ltd (PA) was recently shortlisted for the Semta Apprentice of the Year Award. We heard from Chris about his experiences to date and what the future holds for him. “I began my engineering career with Packaging Automation Ltd (PA), leading manufacturers of reliable, versatile and cost effective filling and tray sealing solutions, in August 2011. During my three year apprenticeship I have spent the majority of my time working in the factory and gaining invaluable experience in all sectors of the company, from the design sector to systems, fabrication, service, machine assembly, wiring and the machine shop. As part of this scheme I have also been working towards engineering qualifications at a tailored college course in order that I gain the necessary credential to progress as an engineer within the company. I am now in the third year of my apprenticeship and have so far achieved an NVQ Level 2. Packaging Automation is passionate about apprenticeships and they have invested in my training and personal development over the past three years. I have particularly enjoyed working on the range of different products that PA manufacture as well as accompanying engineers to customers’ sites to deal with faults and breakdowns. I am constantly challenged by the work and encouraged to develop my skills as an engineer in an environment where I am supported and coached to be the best I can be. Most importantly, I have always felt like an equal and valuable member of the team. I have recently been shortlisted for the Semta Apprentice of the Year Award which is a huge honour. It feels great that my hard work and academic achievements have been recognised at this level. I very much hope that this nomination will highlight the brilliant work and great effort PA Ltd do to invest in young people, like myself, and our future. For more than 25 years, Packaging Automation has been offering high quality engineering apprenticeships to young school leavers. These apprenticeships offer a genuine opportunity to recruits to gain a recognized engineering qualification with full time employment at the end. PA is proud of its apprentice scheme which enables it to ‘grow’ its own talent and identify the individuals who will become the managers, machinery designers, systems engineers, sales engineers, and project engineers of the future. To find out more information about PA’s apprenticeship scheme, please visit www.pal.co.uk. To find out more information about The 5% Club, and how to become a member, please visit www.5percentclub.org.uk or get in touch by emailing contactus@5percentclub.org.uk. Information about the campaign can also be found on Twitter, and LinkedIn.